Today's new band to burn one to comes to us from Mexico. The band is Dirty Woman and they play a dirty southern stoner rock. Their sound is a mix of all the good ones. Atomic Bitchwax, Kyuss, Black Sabbath, Orange Goblin and Fu Manchu among many more. 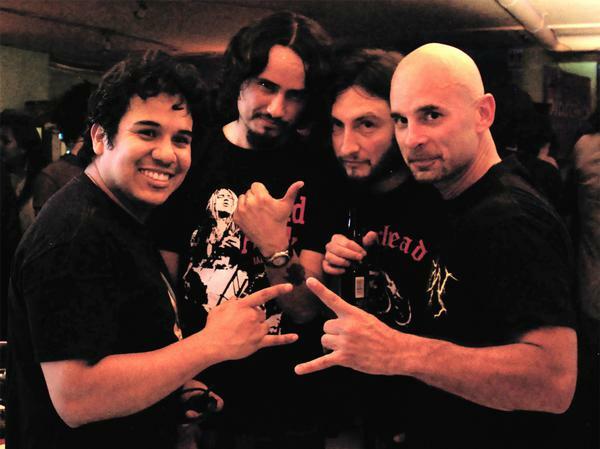 Dirty Woman es una banda de stoner metal de la Ciudad de México, es iniciada en 2006 por Edson Alemán, guitarra (Atoxxxico, Invectiva, 34-D, Tusken Raiders, entre otras bandas); luego de algunos cambios de alineación, DW se complementa con: Lutz Keferstein en la voz (Bloodsoaked, LDB, Arkhé), Ángel Castillo en el bajo (Dr. Magnético, Faded Mortar) y Julio César López (Tusken Raiders) en la batería. Nos unen diversas influencias musicales y de pensamiento... No ondeamos banderas de geografías políticas; simplemente creemos en el rock como acto de libertad. Dirty Woman, rock para hombres y mujeres sucias. Salud!! 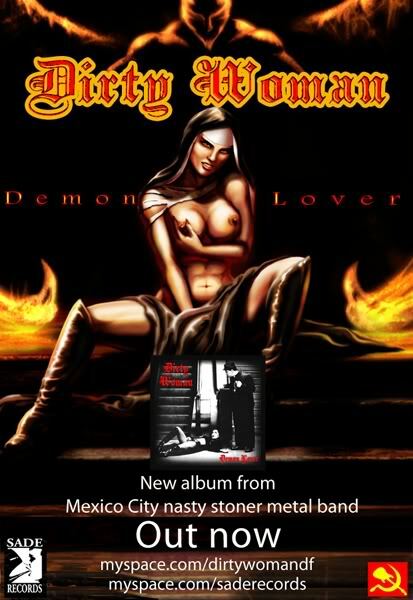 Dirty Woman is a stoner metal band from Mexico City, is initiated in 2006 by German Edson, guitar (Atoxxxico, invective, 34-D, Tusken Raiders, among other bands), after some lineup changes, complemented DW with: Lutz Keferstein in voice (Bloodsoaked, LDB, Arkhe), Angel Castillo on bass (Dr. Magnetic Faded Mortar) and Julio César López (Tusken Raiders) on drums. We unite diverse musical influences and thought ... No waving the flags of political geographies, just believe in rock as an act of freedom. Dirty Woman, men and women rock dirty. Cheers!